The Saudi public prosecutor sys the murder of journalist Jamal Khashoggi was premeditated, according to state TV. Prosecutors are interrogating suspects on the basis of information provided by a joint Saudi-Turkish task force, the al-Ekhbariya report said. Meanwhile, two sources told Reuters that CIA director Gina Haspel heard an audio recording of Khashoggi’s killing during her visit to Turkey this week. Representatives of the CIA and Turkish intelligence have declined to comment on Ms Haspel’s review of the recording. The state-run Saudi Press Agency also reported the country’s powerful Crown Prince, Mohammed bin Salman, has attended the first meeting of a committee aiming to restructure the kingdom’s intelligence services after Khashoggi’s murder. 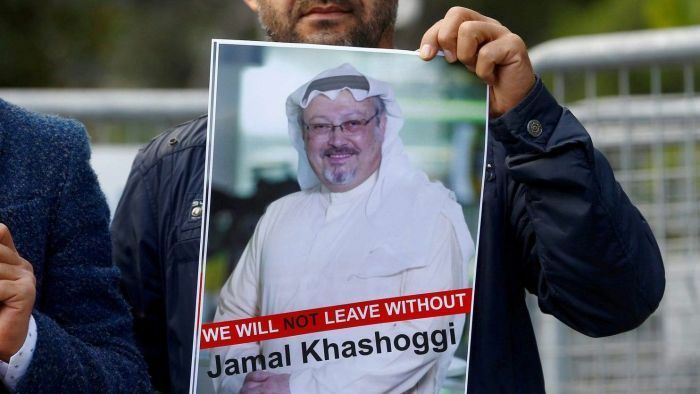 It comes after the kingdom announced over the weekend that 18 Saudis had been arrested in the writer’s slaying, while four senior intelligence officials and an adviser to the Crown Prince had been fired. Saudi Arabia first denied any involvement in Khashoggi’s disappearance on October 2, but a Saudi official eventually attributed his death at the Saudi consulate in Istanbul to a botched attempt to return him to the kingdom. The Crown Prince called the killing “heinous” and “painful to all Saudis” in his first extensive public remarks on the topic.